Number 1: Are They a Specialist? Orthodontists are specially trained dentists who take on several extra years of training in order to “straighten teeth,” usually by affixing braces to the patient’s teeth. You might say we specialize in smiles. Orthodontists also perform dentofacial orthopedics. This is a fancy way to describe how we normalize the structure of a patient’s jaw bones in order to repair any imbalance in their face. All orthodontists are dentists, but only 6% of dentists are orthodontists. Look for the seal of the American Association of Orthodontists (AAO). Only orthodontic specialists can belong to the AAO. Our orthodontists at Burleson Orthodontics don’t just treat orthodontic problems and pediatric patients; we also teach orthodontists at Children’s Mercy Hospital how to become better orthodontists. At UMKC we teach pediatric dentists how to become better pediatric dentists. In fact, Dr. Burleson shares his knowledge and teaches over 1,941 orthodontists in over 23 countries. By teaching and interacting with many orthodontists, we stay cutting edge with the best treatment options for our patients. Number 2: Do They Offer Pediatric Dentistry? Now, you may not even have kids. While more than seventy-five percent of our patients are kids or young adults, we do help many adults transform their smiles, too. So, why is offering pediatric dentistry important to even the people without kids? Pediatric dentists have an additional 2 to 3 years of additional specialized dental training, just like an orthodontist. Additionally, you can imagine pediatric dentists have to relate to fears of seeing a dentist and being compassionate to kids. Therefore, even as an adult, you will see the benefit of choosing an orthodontist who offers pediatric dentistry. If your orthodontist offers pediatric dentistry within their practice, it is safe to say they are a specialist and leader in their field. At Burleson Orthodontics, we have been providing pediatric dentistry for many years. Number 3: Are They Highly Successful? Why is this important? Wouldn’t you get a “better deal” from an overeager orthodontist or an overeager dentist eager to do braces? Why choose someone who is busy and who is not bargain-priced? When you discover a practice like Burleson Orthodontics & Pediatric Dentistry that has treated over 17,000 patients right here in Kansas City, you’ve discovered a practice built on referrals. Patients and parents don’t enthusiastically refer if they feel they were lied to or treated badly, put in pain or wound up with results nothing like the digital future-photo they were shown. And, they probably wouldn’t come to that practice if they had to keep coming back to “fix a few things,” or were overcharged. Parents tell parents about great orthodontic practices because we earned their trust and because their kids kept thanking them. I keep my office very busy. Yes, we advertise. But mostly, my practices thrive by patient referrals. Not that I would anyway, but I don’t need to goad you into more or more expensive care than your son’s or daughter’s situation requires for the best outcome. I don’t need to “sell” four more sets of braces or Invisalign to win a cruise from the manufacturer – and yes, that stuff goes on in some practices. Our fees are calculated to provide the best care in every respect. There is no downward financial pressure on how we care of our patients and we never cut corners or take shortcuts. We never use any material that is “probably good enough.” If I were you, I’d worry if I could find an orthodontist that is a lot cheaper than anywhere else. If you do find one, know this: behind closed doors, they’re probably asking: “Can we do this cheaper?” Is that the question you want discussed back there, at every step of your child’s treatment? There’s a science and an art to this. My specialists and my staff are highly trained to produce state-of-the-art outcomes, nothing less. The doctor makes a difference. That’s why I tell everybody to find a highly successful orthodontist. Number 4: Do They Provide the 1st Visit Free of Charge? Most orthodontists offer free examinations for new patients so that you and your family can get expert advice about treatment needs, options, and timing before making this important investment. During your first exam and consultation be sure your questions are being answered, concerns addressed, and you are being educated about all of your treatment options. The orthodontist should include digital x-rays during the exam at no charge. Call 816.759.0123 to schedule your initial exam, complimentary consultation, and Digital x-rays ($249 Value). Number 5: Do They Offer Guarantees? If so, what are they? No matter which orthodontist you choose, ultimately you are not making a small investment. That being said, wouldn’t you want to ensure your orthodontist is going to stand behind their treatment? Of course! At Burleson Orthodontics, we wouldn’t have it any other way. In fact, we offer multiple guarantees. In addition to our 100% lifetime guarantee, even if you or your child doesn’t wear their retainer, we also offer a guarantee where you won’t miss school or work during your treatment. During your first exam and initial consultation, ask for more details on both of our guarantees. Number 6: Are They Using the Latest Technology& Treatment Options Available? Orthodontics today differs a great deal from years past. Computer-designed braces and wires dramatically increase the precision with which we move teeth and shorten treatment time. Tie-free braces systems have made treatment far more efficient and comfortable. Clear braces offer a cosmetically pleasing alternative, while Invisalign® offers patients an entirely brace-free option. Did you know that Invisalign® also has a special treatment system just for teens? At Burleson Orthodontics, we can even place braces behind your teeth to make the entire treatment a well-kept secret! In fact, since Dr. Burleson teaches and interacts with over 1,900 orthodontists throughout 23 countries. He masterminds with them and is constantly discussing new treatment options. At the same time, he specifically discerns which treatment options make the most sense and which ones don’t. Ultimately, you get the best treatment available when you choose Burleson Orthodontics. At Burleson Orthodontics, we are constantly staying up-to-date with technology and treatment options. Number 7: Does Their Quoted Fee Include Retainers? Each orthodontic office has its own fee schedules, and doctors often charge differently for procedures. All orthodontists should offer you a contract that clearly spells out the expenses for your child’s treatment before it begins. Throughout the orthodontic industry, it is common to find out about retainer fees after you start treatment. Since you are reading this report, you can ask your orthodontist about what retainers cost and also if there are any other hidden fees. An important part to achieving a straight smile is keeping it that way. Number 8: Do They Charge for Emergency Appointments? Some minor discomfort may occur with braces. Orthodontists typically provide adjustments for poking wires and loose appliances free of charge. At Burleson, we do provide these types of adjustments free of charge, but you should definitely ask about adjustments and potential costs with your orthodontist before you start treatment. Keep in mind; if your braces are broken or damaged due to noncompliance with dietary restrictions, this may result in repair charges. With Burleson Orthodontics, if you do your best to avoid breaking your braces, follow the simple dietary guidelines which we will share with you, then you should have no additional costs for adjustments throughout your treatment, even if it’s an emergency. 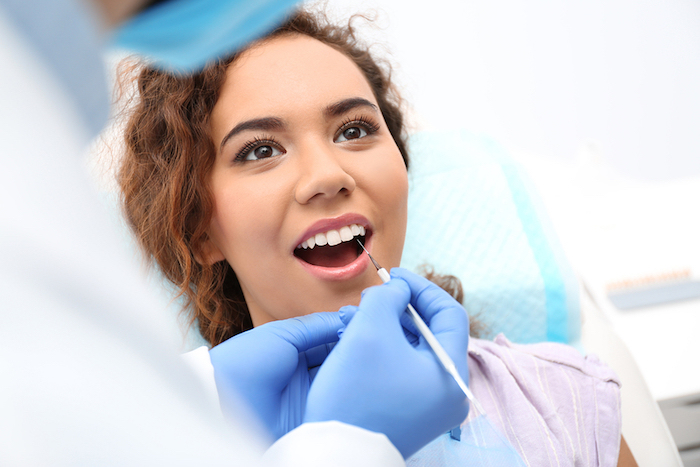 Typically, at Burleson Orthodontics, you should have no additional costs for emergency treatment. Number 9: Do They Make You Feel Special & Comfortable? Regardless if you are reading this report for your own treatment or for your child’s treatment, when you meet with your orthodontist, you should definitely feel comfortable. At Burleson Orthodontics, we strive to make you as comfortable as possible before, during, and after treatment. Particularly important if you are reading this report for the treatment of your child, we also ensure your child feels special every time they visit. Two out of the three of our highly trained doctors have children of their own. The other doctor routinely enjoys spending time with her nieces and nephews. Since our doctors are so involved with children and young adults, we can empathize, relate to them, make them feel comfortable, and extra special. You are special and we want you to feel special every time you see us. Number 10: Do They Have a Great Reputation? With the Internet today, it is extremely easy to pull up ratings and reviews from patients. Simply go to Google and search for orthodontist reviews and ratings with your town. At the time of this report, you will see we have 66 reviews on Google posted by our patients, and we are 5-star rated. Additionally, look on the website for video testimonials from actual patients. Visit BurlesonOrthodontics.com to view some videos from actual patients. You can also ask the orthodontist for references. Finally, you should make sure your orthodontist is a member of the Better Business Bureau and has a great rating with them. Being a member of the BBB shows you that the orthodontist takes pride in providing great customer service and treats patients the way they should be treated. At Burleson Orthodontics, we have been A+ rated by the BBB for many years. We are also 4.5 star rated on Yelp, A rated on Angie’s List, and 5 Star rated on ZocDoc. Schedule Your Child’s Burleson Orthodontics Complimentary Consultation Today!